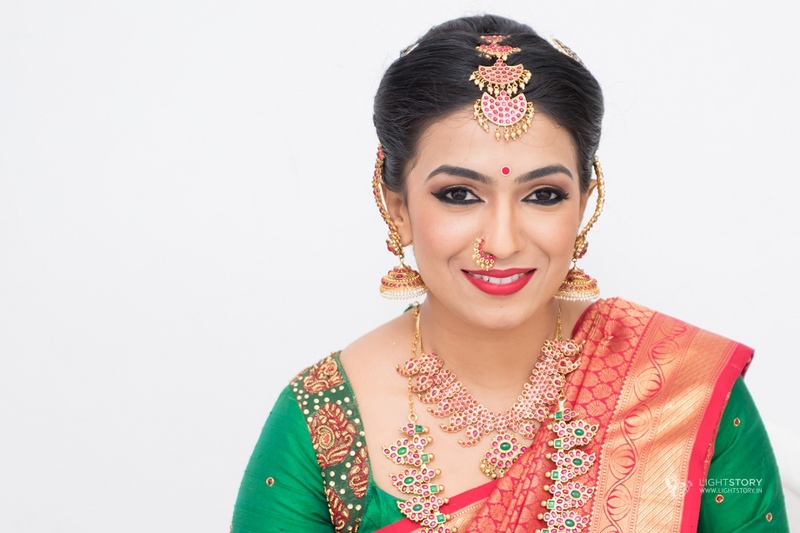 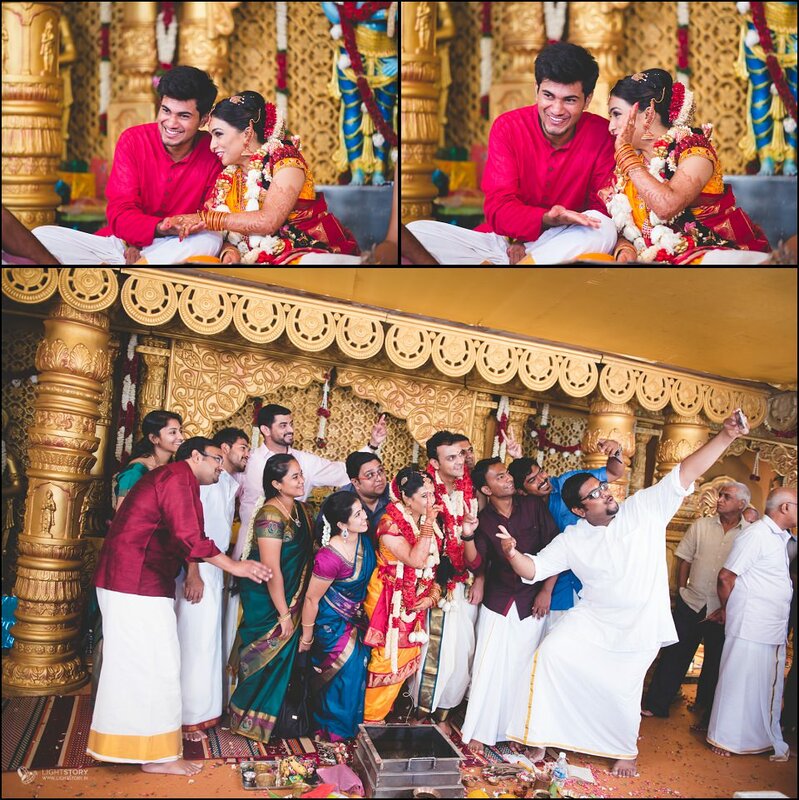 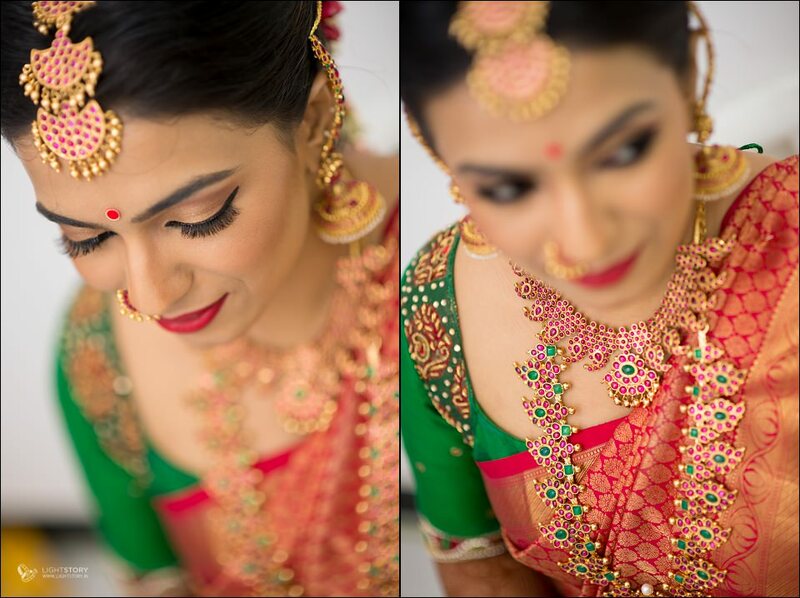 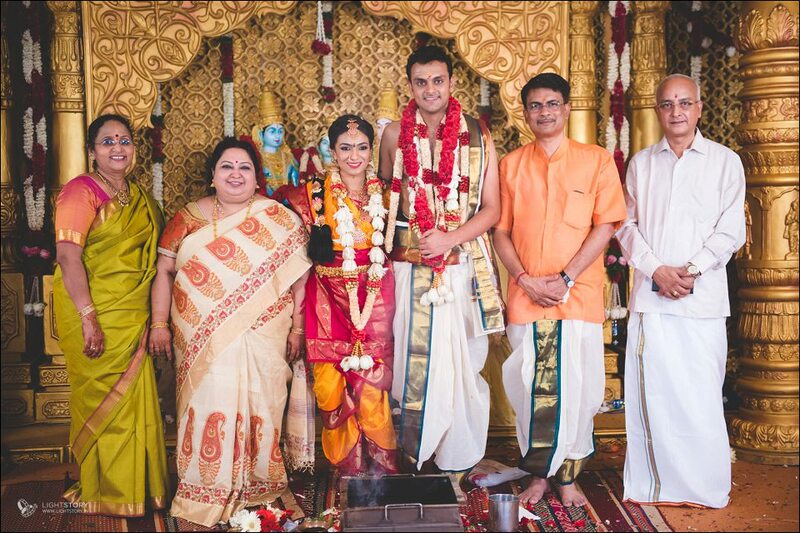 Poorna's wedding saree, the very red silk paired with a green blouse is from RmKV, Chennai. 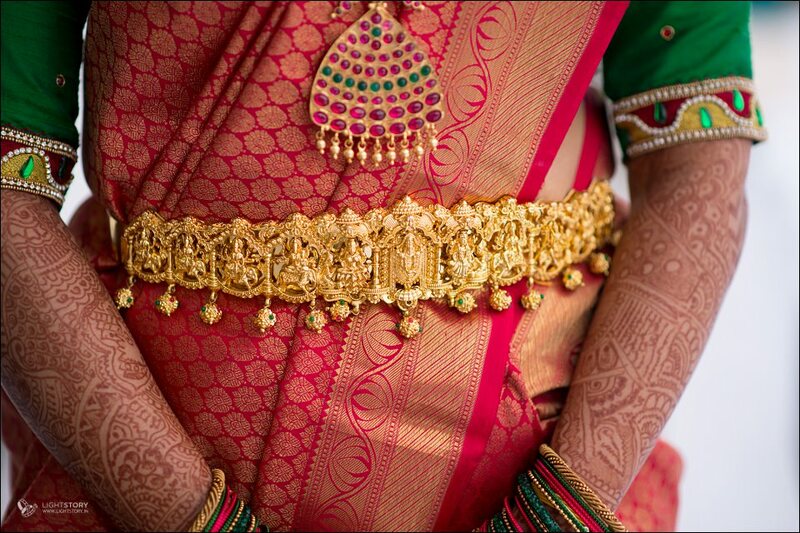 Her jewelry is from Prudlrs, Coimbatore. 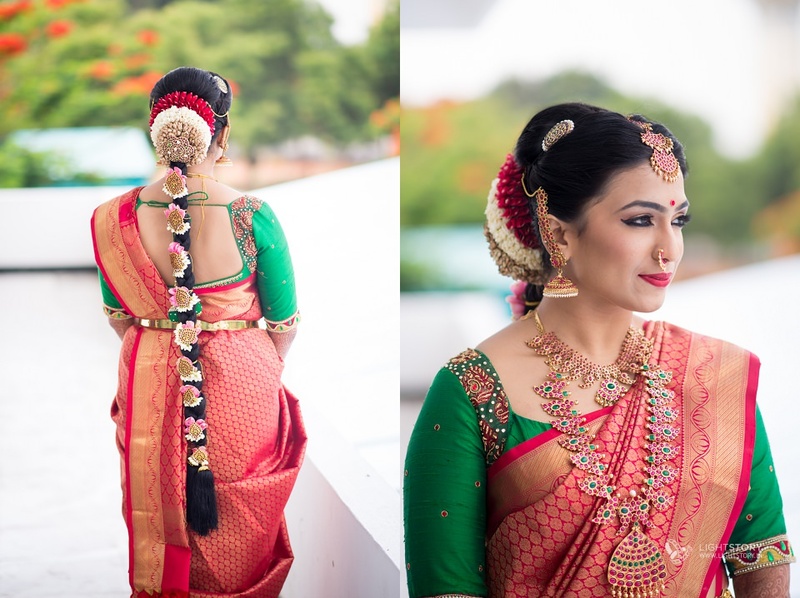 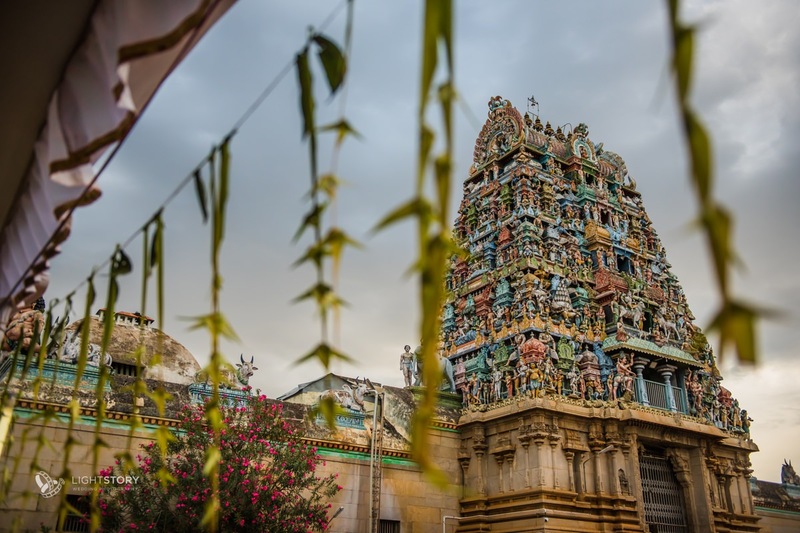 The Muhurtha nine yards saree is from Nalli, Coimbatore. 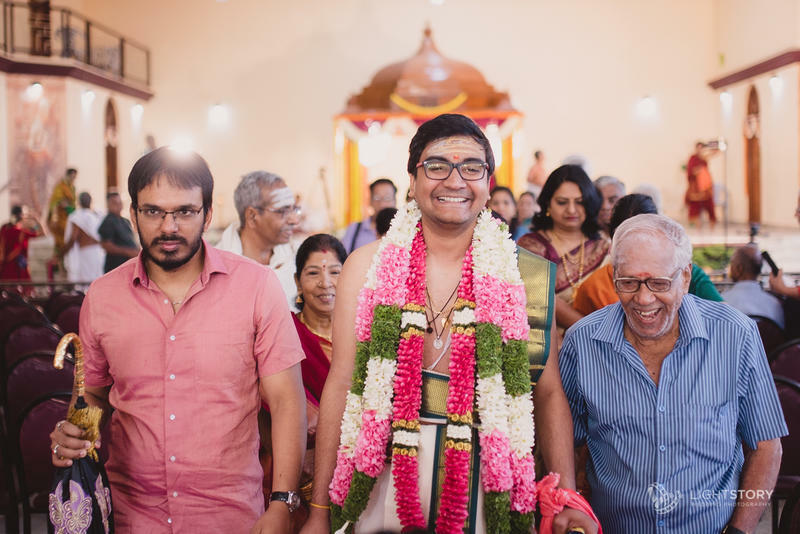 Vibushan's wardobe is from Nalli, as well. 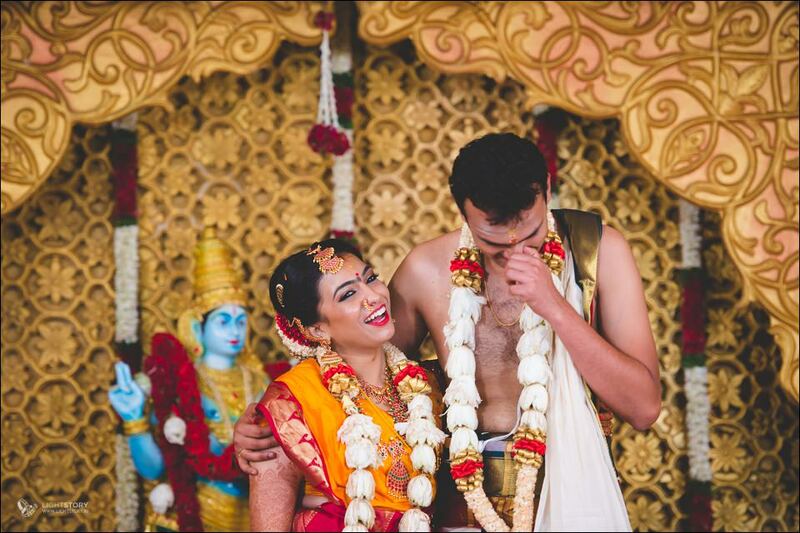 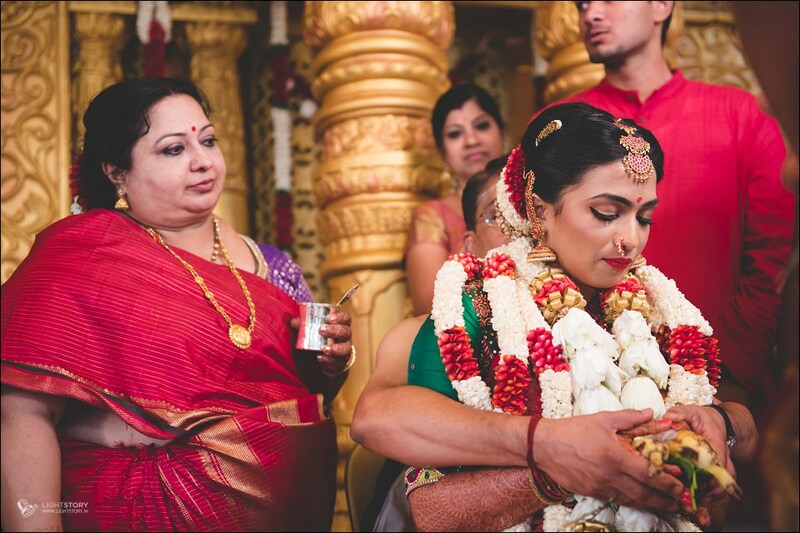 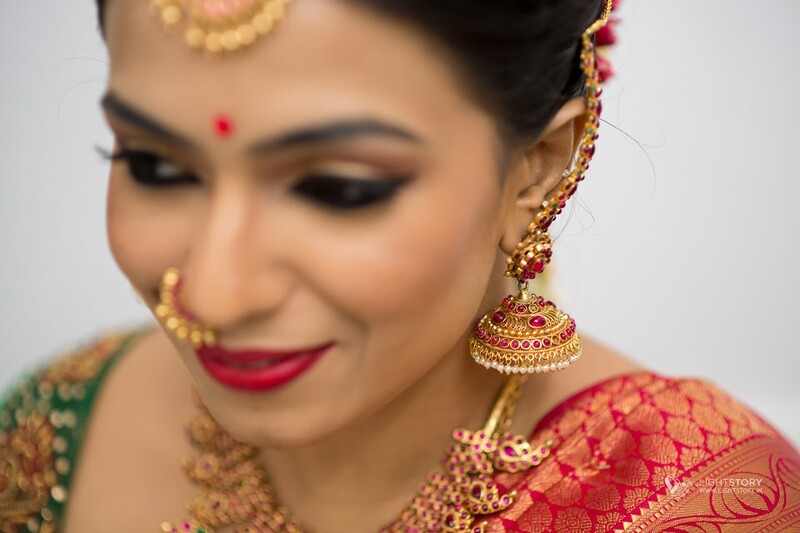 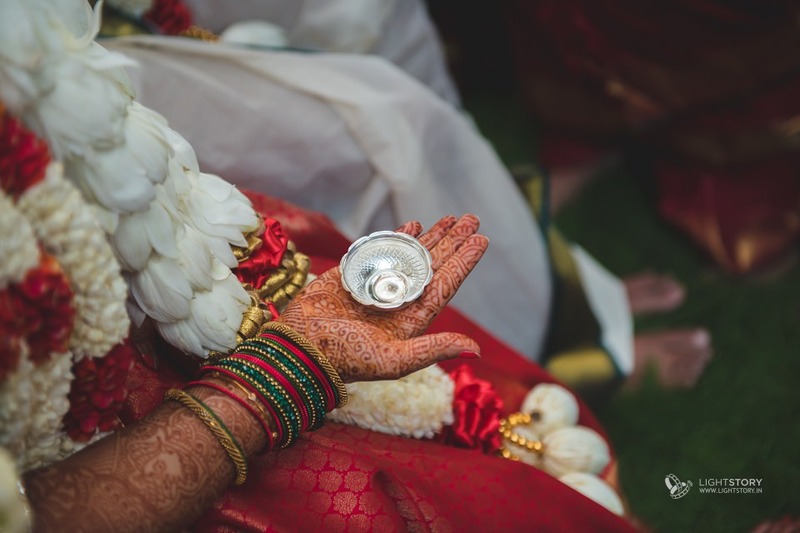 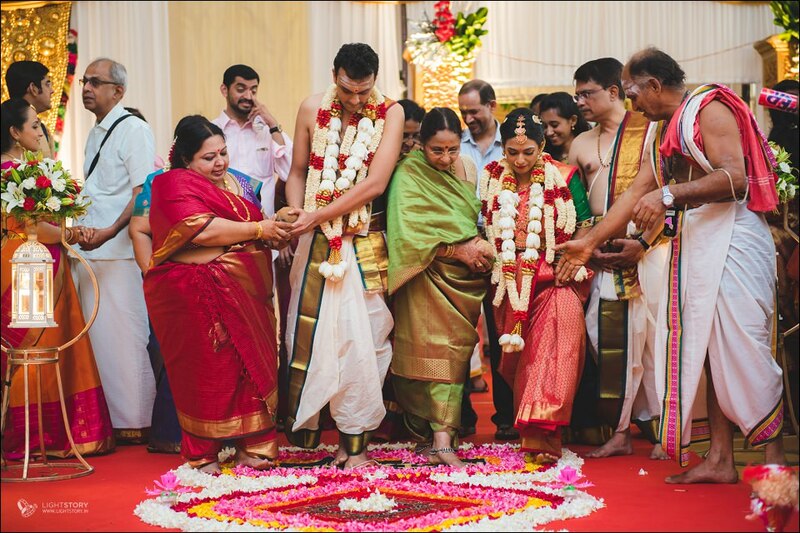 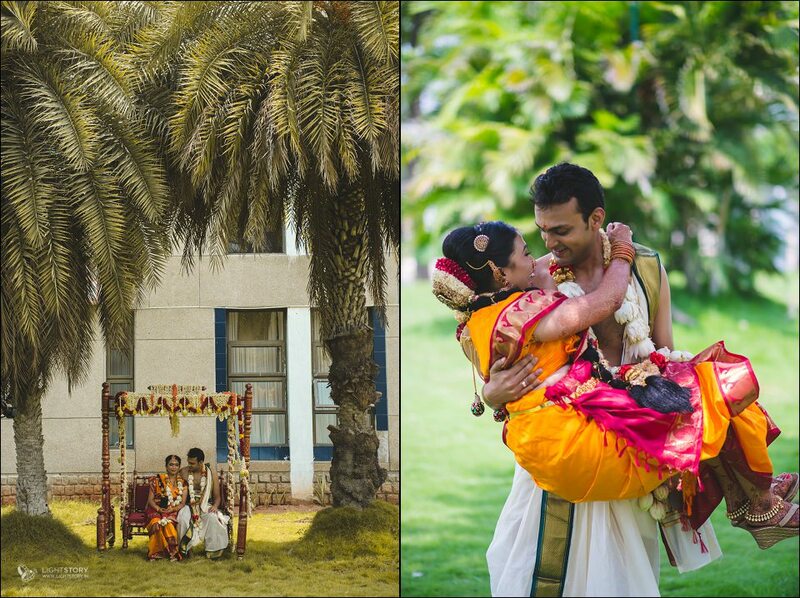 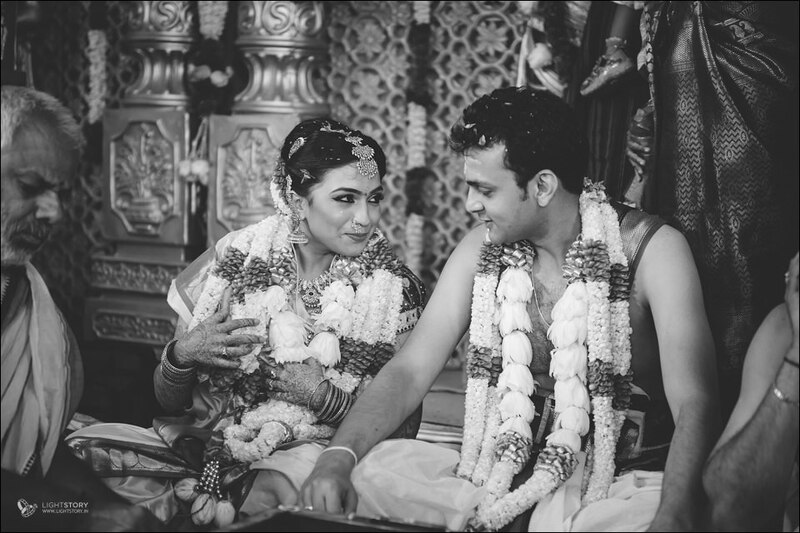 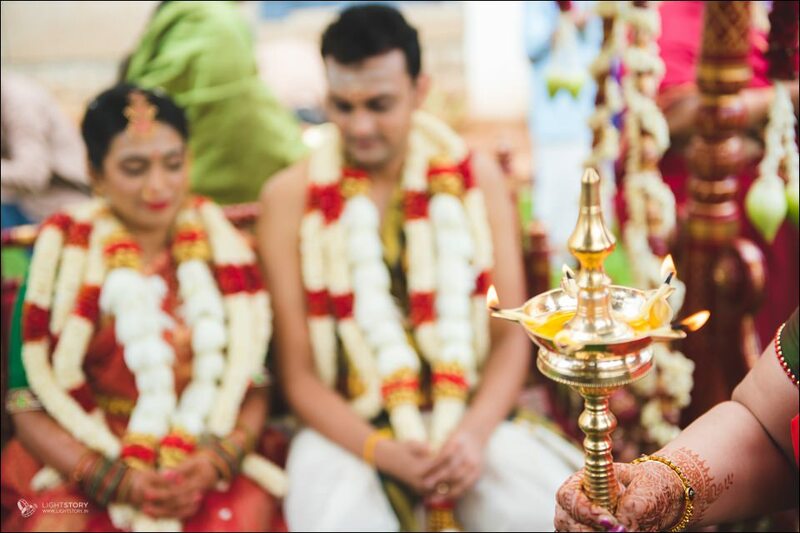 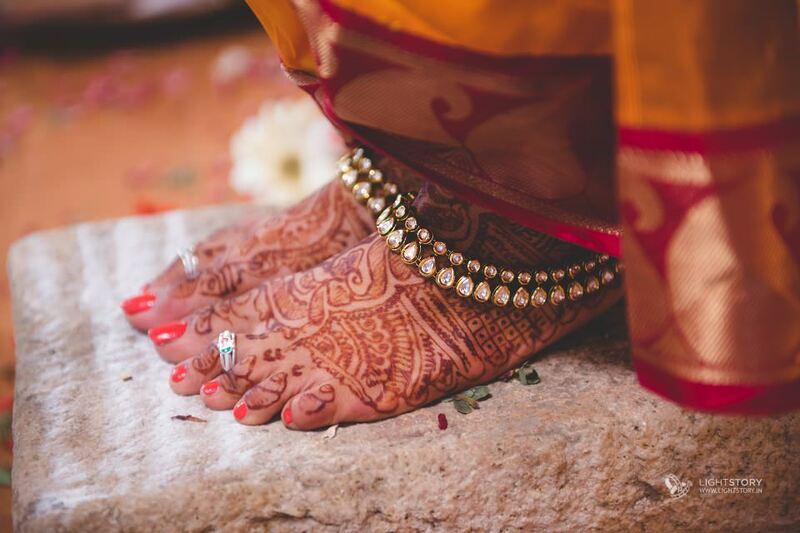 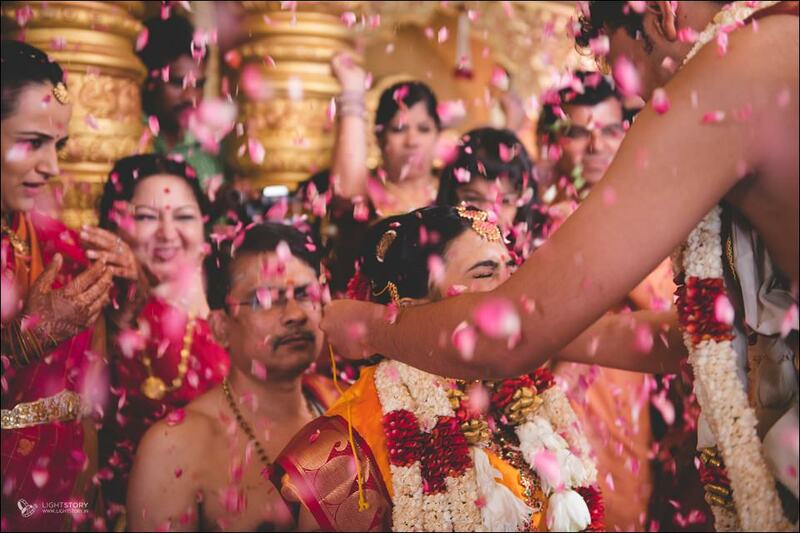 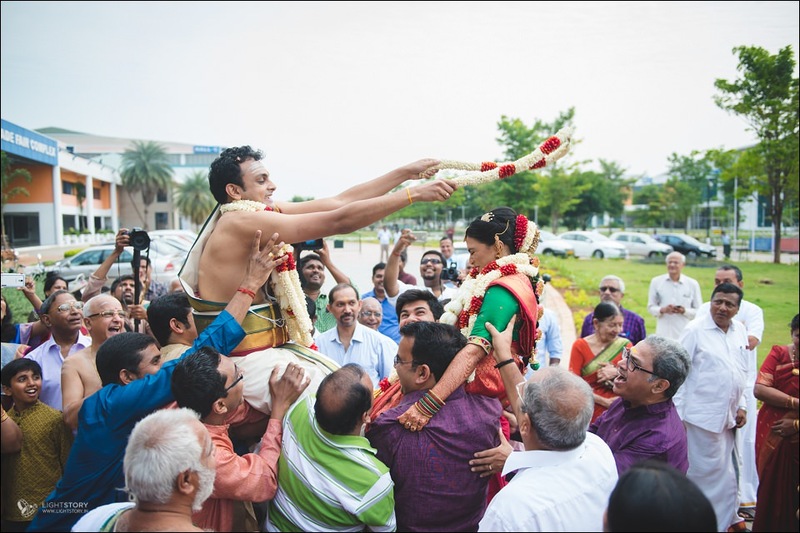 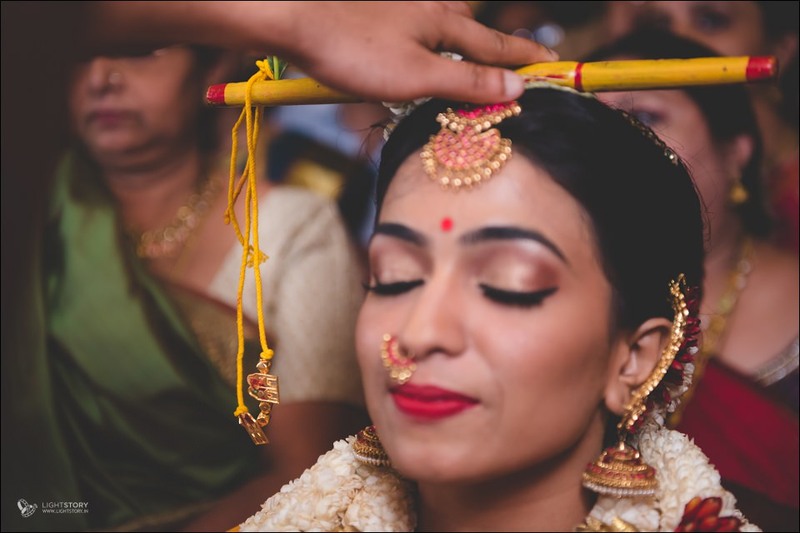 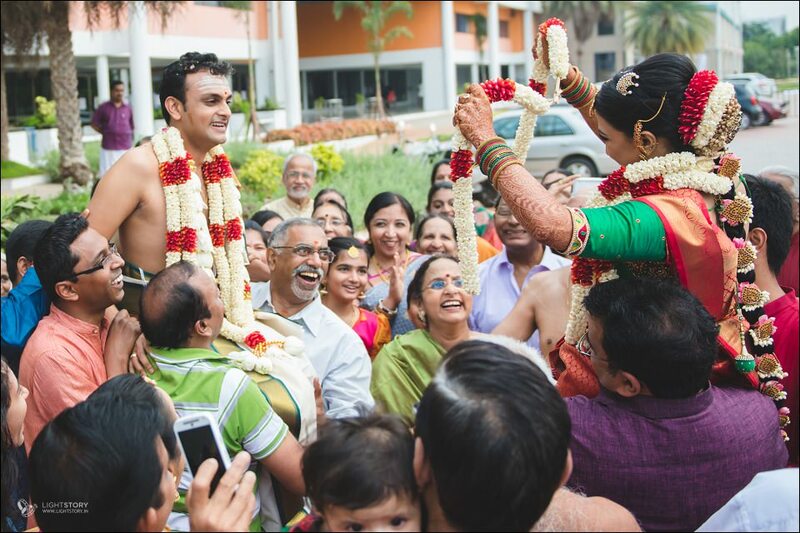 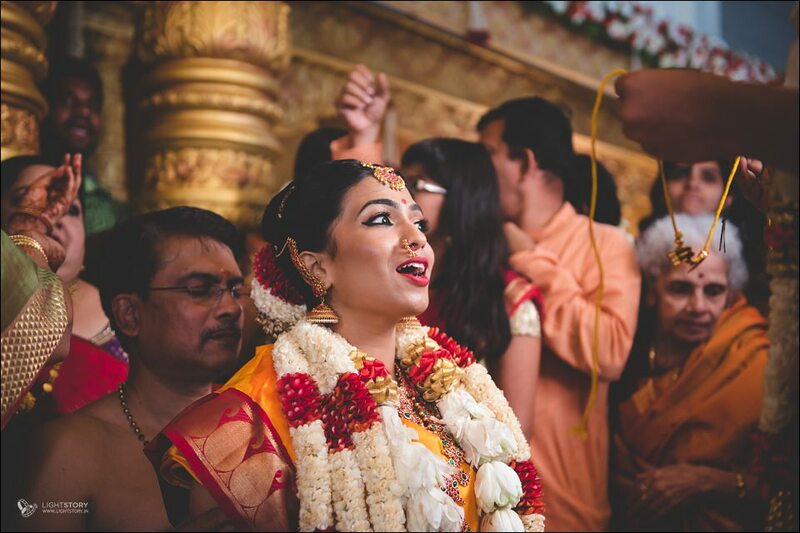 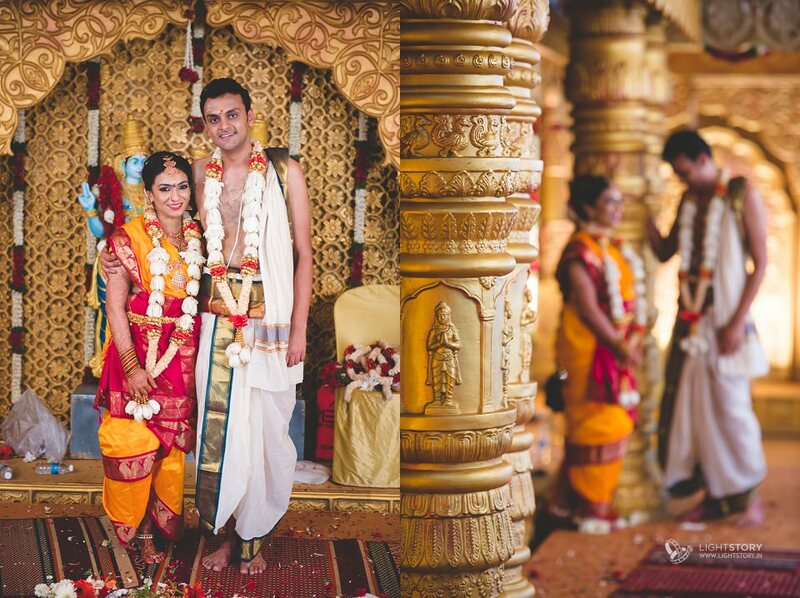 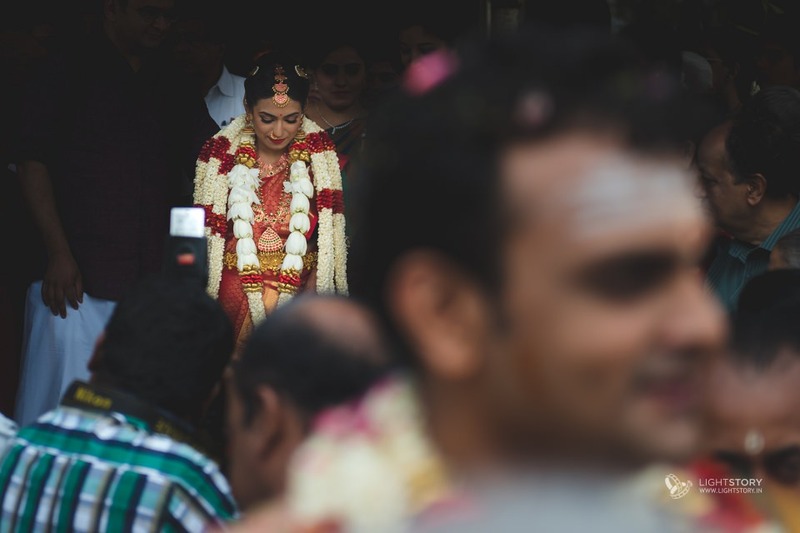 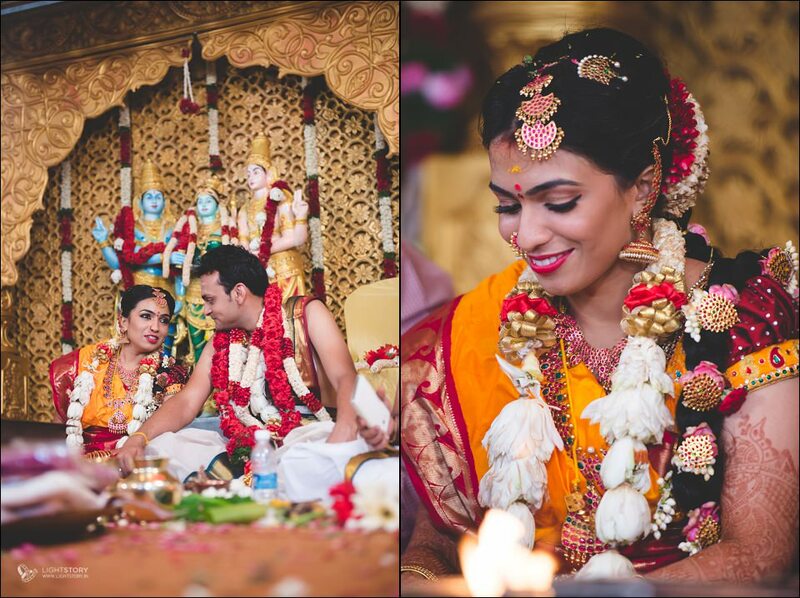 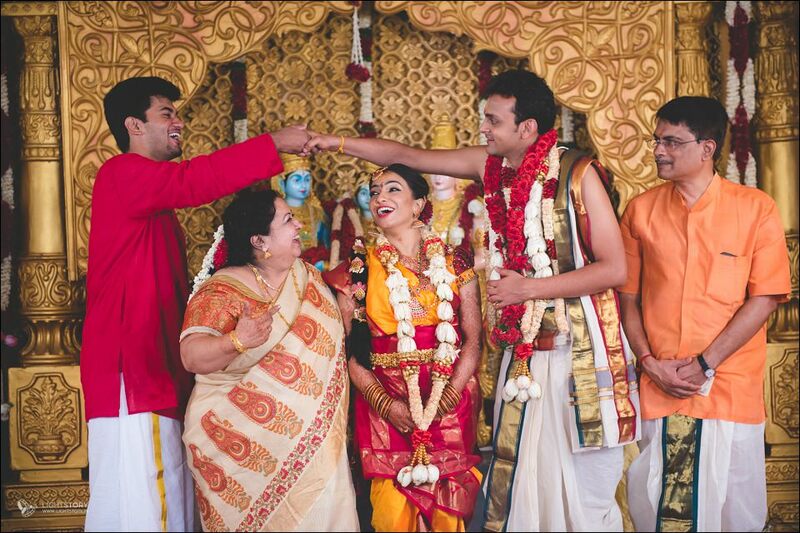 I hope you loved the pictures as much as I enjoyed covering Poorna and Vibushan's wedding. 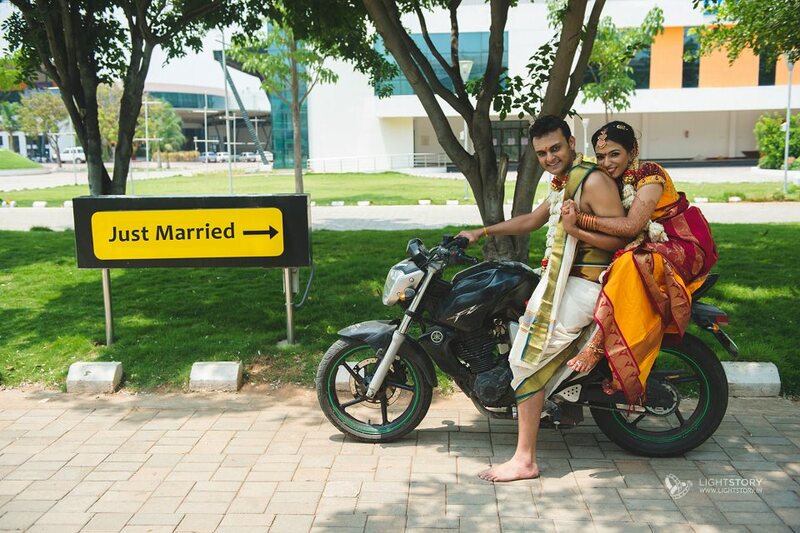 Here's us wishing the couple an amazing life together!